Are you buying an investment property? Or multiple? The cost of borrowing to invest in property can be surprisingly low when you factor in the tax deductions you may be entitled to, plus the rental income you will receive. Investing in property can be a great way to increase your wealth and secure your financial future. One of the most important factors in creating wealth through property investment or home ownership is selecting the best finance strategy. Buying an investment property can help create wealth for yourself and your future generations if you leverage the property correctly. Whether you are looking to purchase your first investment property or are looking to grow your property portfolio, we can assist you with the finance. As an expert in investment property, Empowered Finance can guide you towards finding the right property to suit your short and long-term investment goals. We create a strategy that is tailored to your unique requirements and wealth creation goals. We provide you with a comparison of the best lender options in the market and why to choose one over another. We provide property investment analysis to give you an exact view of how the investment will work for you. We select lenders to maximise borrowing capacity, long-term finance strategy and asset protection – rather than just interest rates. We structure investment loans to aid with consideration for cash flow and ease of management as well as asset protection. We provide property Automated Valuation and Comparative Market Analysis reports for peace of mind before you sign the contract. A common mistake investors make is to enter the property market without an idea of what they want. Staying aware of where you want to go financially can help you choose the most suitable property. Ask yourself whether the property can help you achieve your financial goals. The sooner you start saving, the sooner you can buy your investment property. Consider setting a savings target for yourself. Remember to save first and live off the remaining money. Strong budgeting skills will help you achieve your investment goals. Investing in property in Australia is a strategy that can work for anyone, even without a high income. Get acquainted with aspects like depreciation, taxation and financing by talking to Empowered Finance about investing in property. The more you know, the better you can invest. You don’t have to start with expensive properties in the city you live in. Consider the immense potential growth of properties that lie a short drive from your city. At Empowered Finance we can assist you in finding properties within your price range and enter the market earlier. We can thoroughly explain the subtleties of different loan options and lenders. Our experts at Empowered Finance can outline the pros and cons of each finance option. This will not only help you save thousands of dollars, but it can also ensure that you pick something that suits your property investment strategy and long-term goals. Wondering if you can afford an investment property? Empowered Finance can help you find the answer. We take the time to analyse your individual goals and circumstances, and ensure that you are matched with the broadest range of lenders. We ensure you’ll never be short of support to suit your unique needs. Empowered Finance can analyse your resources and your ability to meet your property investment goals. This can help you to minimise financial risks and get maximum value for your money. Clarity on your current financial position and economic security for the future is critical when investing in property. Step 1 - Work out what you can afford. Step 2 - Speak to Empowered Finance for property investment tips, and to find out your lender options. When you tell us about your current financial position and what you intend to achieve, we can guide you towards those goals. We can also link you with a lender that can cater to your unique needs. Step 3 - Start saving for your deposit with a clear goal in mind. Knowing how much finance you can secure and the value of the property you can afford can give you an idea of how much to save for a deposit. Step 4 - Determine which area you would like to invest in. Properties in the city you live in may be expensive, but that should not lock you out of the investment property market. Our financial experts can help you find the property range that is right for you. Step 5 - Conduct a preliminary cash flow analysis. Does your chosen property fit with your goals and is it going to help you achieve what you want? A preliminary cash flow analysis will allow you to see what financial responsibilities you may have and how you can manage them. Step 6 - Inspect the property to see its condition and identify any potential issues. Any shortcomings can help you negotiate a lower price. Step 7 - Obtain a contract of sale and make an offer, preferably in writing. 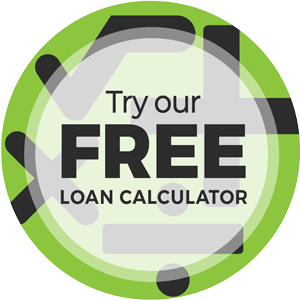 The offer can be conditional to your finance approval. Step 8 - If the offer is accepted, pay the deposit. Empowered Finance is available to provide complimentary advice and support for the duration of your investment property loan. Step 9 - Obtain finance, exchange the cheques and contracts, and take legal ownership of the investment property. We’ll have created a unique finance strategy suited to your financial needs to ensure each step towards your investment goals is taken with someone in your corner. Step 10 - Start making the agreed mortgage repayments to the lender. Congratulations, you’re a property owner! Why should I use Empowered Finance when investing in property? As a property investor, you likely have a lot on your plate already. From family commitments to long working hours, or other responsibilities that don’t allow you to access the support you need. Empowered Finance provides a mobile financial service to come to you and walk you through the finance options available to you. Most property investment companies in Australia are paid a commission by the lenders they work with. Which means choosing Empowered Finance to assist with your property investment dreams will cost you nothing. However, the fact our services are free does not mean that we compromise on your individual needs. Your specific needs are a priority at Empowered Finance, and we can link you to the right lender. Whether you are self-employed or want more flexible pre-payment terms, we can tailor a strategy for you. Our services are built around finding you the lowest property mortgage rates that favour your financial situation and investment needs. Empowered Finance has access to a range of lenders and loans that would otherwise be inaccessible. We can help you negotiate for a mortgage with low interest rates to make sure that you make savings while you invest. As our services are free for you, we allow you to save more and focus on putting money in your deposit savings account instead. Based on our extensive experience, we understand the property market inside and out. We do not give comprehensive generic solutions to all our clients because we know that each one has unique needs. Our experts can help you find the most suitable finance to minimise your risks and the overall costs. An investment property is a physical asset. Unlike intangible investments like unit trusts and shares, most people feel secure when dealing with bricks and mortar. Additionally, you can use the property as collateral security and borrow money from its equity. External factors outside of your control can impact your investment in the stock market. On the other hand, investment in real estate is not as volatile. Since it is a tangible asset, you have more control over it. The rental income from your investment property can go towards repayment of the mortgage. This means you can repay your debt faster and become debt-free quicker. Rental income is also critical in diversifying your investment portfolio. As the value of your property increases, you can achieve capital gains. This is most valuable when purchasing property in areas where house prices are likely to increase. In addition, property investment benefits can be greater if you buy the investment earlier. You can enjoy tax benefits if your monthly costs exceed the rental income from your property. If you’re wondering how property investment works our we can assist in conjunction with your accountant.